Skye Gravestones | Peggy (Maclure) Hector Macinnes, s. Neil. Peggy (Maclure) Hector Macinnes, s. Neil. 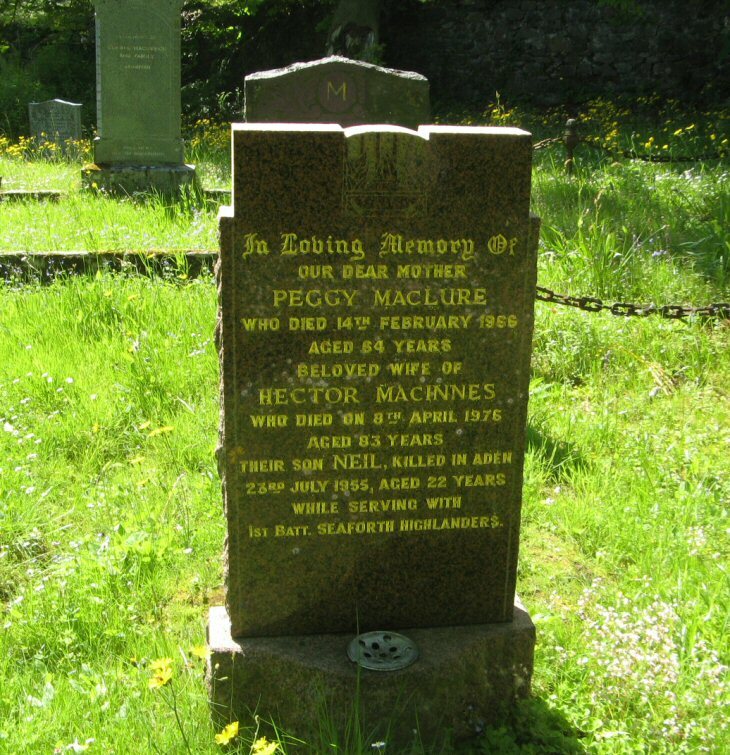 In loving memory of/our dear mother/PEGGY MACLURE/who died 14th February 1966/aged 64 years/beloved wife of/HECTOR MACINNES/who died on 8th April 1976/aged 83 years/their son NEIL, killed in Aden/23rd July 1955, aged 22 years/while serving with/1st Batt. Seaforth Highlanders.